It honestly seems like everyone in my life is having babies right now. It must be that late-20s/early-30s lifestyle, right? Sure. This quilt was made in the Fall of 2016, and is honestly one of the cutest, fluffiest things I've ever made in my life. 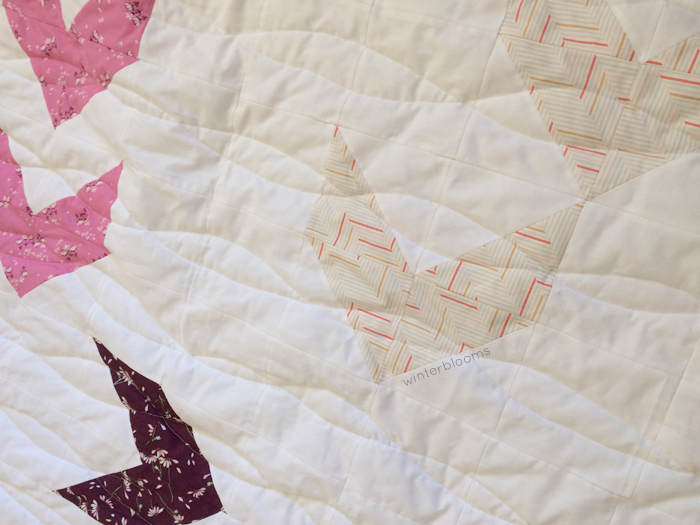 For this one, I followed Lou Orth's pattern found in issue 36 of Love Patchwork and Quilting, and made one slight change to add two extra chevrons to the bottom left. 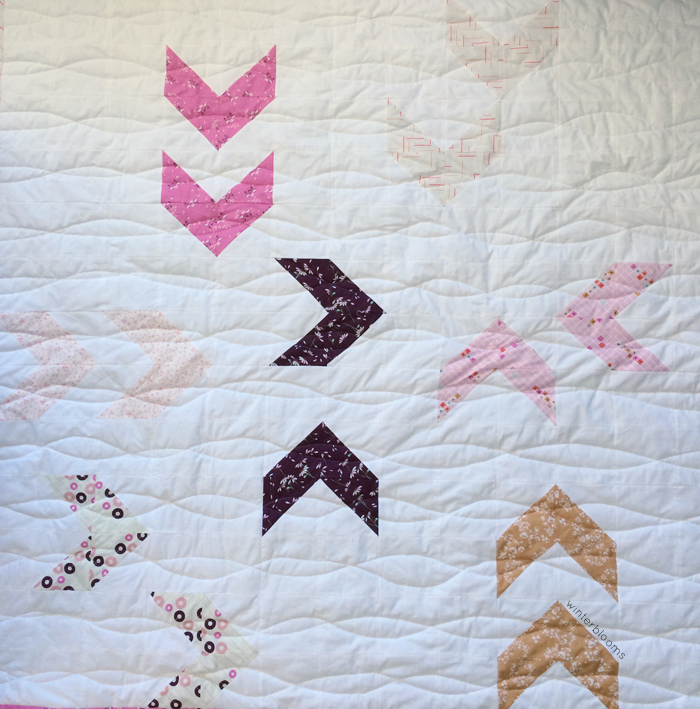 I used the Sunny Adventures Playground fat quarter bundle collection by Amy Sinibaldi. And for the backing, I used the far-too-cute Magic Castle Plans by Sarah Jane (for Michael Miller fabrics). 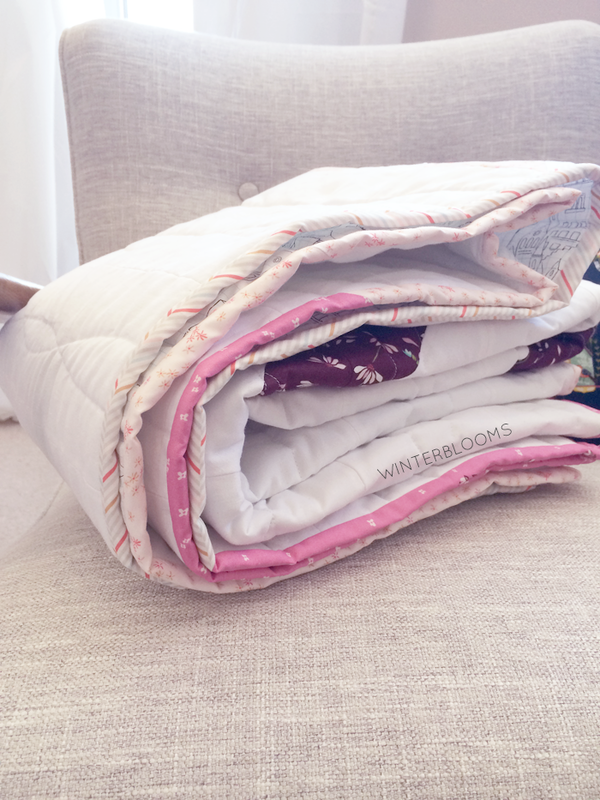 For all the other quilts I had made until this point, I strictly used 100% cotton batting for the interior. 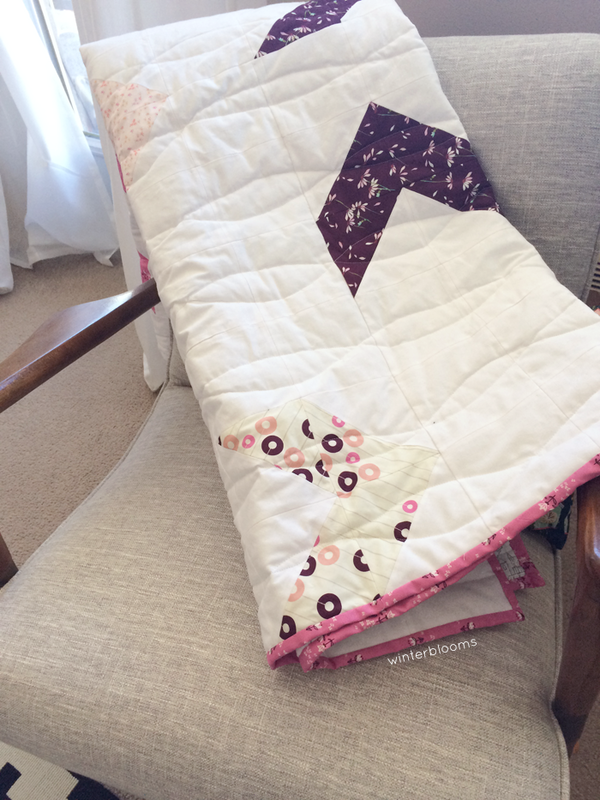 But for this one, I had to pinch some pennies, so I went with a polyester batting that ended up making the quilt so incredibly fluffy and huggable - perfect for a little girl that was going to be dragging it around everywhere eventually.